The second season of Noragami is upon us, and Yato is back granting wishes to one day build his shrine. This season also focuses on another god and her relationship with her Shinki. Trouble is brewing, and we're only two episodes in! Noragami is an interesting anime because it draws strength from the relationships established by the characters. Most shows would create a story for the characters to act in, but Noragami build characters first then introduce a story. The personal conflicts of the characters, and how the cast resolves them, become the core strength of the anime. This character-driven story is what makes Noragami great. For Noragami Aragoto, it looks like the same character-driven story is in play. The show explores Bishamon's relationship with her Shinkis (the term used for sacred treasures) in this season. She has a lot of Shinki, because every lost soul she saves is then taken under her wing. It's revealed that her giant castle is filled with Shinkis she once saved. The rest of the first episode acts as a refresher, as the show reintroduces the status quo established in the first season. The plot thickens in the second episode, as it features Yukine befriending another Shinki the same age as him, named Suzuha. Suzuha is a Shinki of Bishamon, and he mentions that the god of war hasn't called his name in a long time. 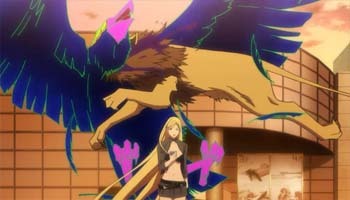 It seems that Bishamon's good intention of keeping every lost soul she encounters creates a problem within her group. The large group makes it impossible for her to take care of each Shinki, and it seems to create dissatisfaction among them. 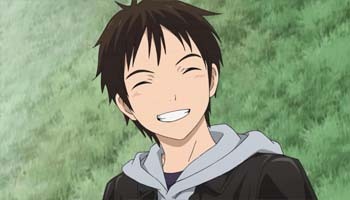 It seems like the second season will focus on the personal feelings of a Shinki as well, just like the first season. 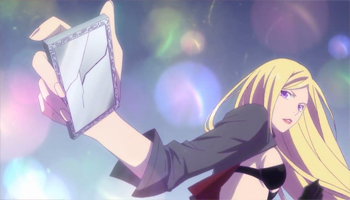 Yukine's problems in the first season seem trivial compared to the ones Bishamon's Shinki are feeling though. 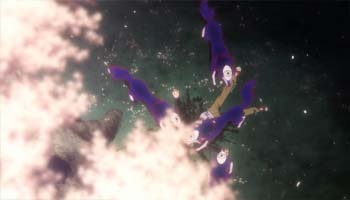 The second episode focused on Suzuha, and his long life as a Shinki. His story, about a girl who promised to watch the cherry blossoms with him, is heart-wrenching. Shinki are often forgotten because they don't have a strong presence, and Suzuha's story is about meeting the same girl in various stages of her life. She always seems fascinated by Suzuha from when she was a little kid up to being the same age as him. Thirty years later, Suzuha is still hoping that the girl will keep her promise. It's too bad for Suzuha though, because he became a pawn for the evil scheme of the supposed villain for this season. He dies in front of the cherry tree, while a pack of wolves tear him apart. This anime is finally showing some deaths. The first season barely had any, aside from phantoms, so Suzuha's death this early on might spell some more deaths in later episodes. 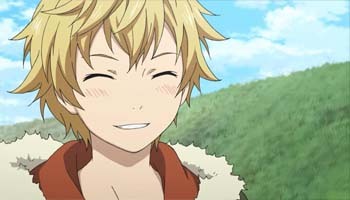 Since there is a story arc about Shinki, Yukine is in the spotlight in the second episode. Suzuha's sad story got him thinking about his relationship with Hiyori. She's the only one that really cares about him and Yato, so he can't fathom her suddenly forgetting about them or simply moving on with her life without them. Being a young Shinki, Yukine isn't really prepared for that kind of thing to happen. With his vulnerable personality, it won't be surprising if he creates trouble for Yato once again. 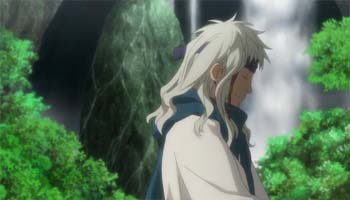 You do feel for him though, because he had a crappy life as a human and he struggles with his life as a Shinki. All of these are new to him, and no one is really there to tell him everything is OK. He's alone, and he knows he'll always be alone for the rest of his life. Kugaha is an interesting character, because he is a pot-stirrer. 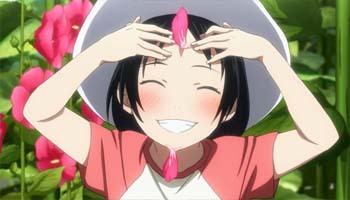 He also seems to be aligned with the dark side, because he is friendly with Nora. 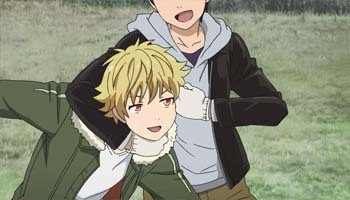 In the second episode, he ordered his wolves to tear Suzuha apart and he created conflict within Bishamon's group by making Kazuma look like a fool. He also seems to be plotting something bad that will end Bishamon's reign as god of war, as he puts it. This guy just screams evil, and every move he makes seems to be calculated. The first season created conflict within the characters, but the second season seems to be setting something much bigger. It looks like it'd be a more straightforward shounen story, with a clear group of good guys fighting a group of bad guys. It's a good idea, since the enemies might be a lot more interesting judging by how Kugaha is introduced. The first episode opens with Yato killing a lot of Bishamon's Shinki, and this feels like a smart foreshadowing. Kugaha's plan involves Yato, so another massacre might take place. It'd be interesting to see how Bishamon will react if history repeats itself. Don't forget to join the discussion for Noragami Aragoto Episode 2 here! The winter season is here and there's a whole new batch of anime to watch. But which of the new shows are worth watching? We're here to tell you which anime have had the most promising premieres of the season.